Gaiters goalkeeper Becky Yates went down with an injury early on and had to be replaced by Molly Bucholtz. Bucholtz wasn’t severely tested in the first half, but she had to be alert, as her team was uncomfortable when having possession. Stinger Sarah Sullivan intercepted a poorly played ball out of the penalty area from Bishop’s defender Teresa Julian in the 23rd minute, only to see her rolling shot go harmlessly wide. Five minutes later, the Gaiters wouldn’t be as fortunate. 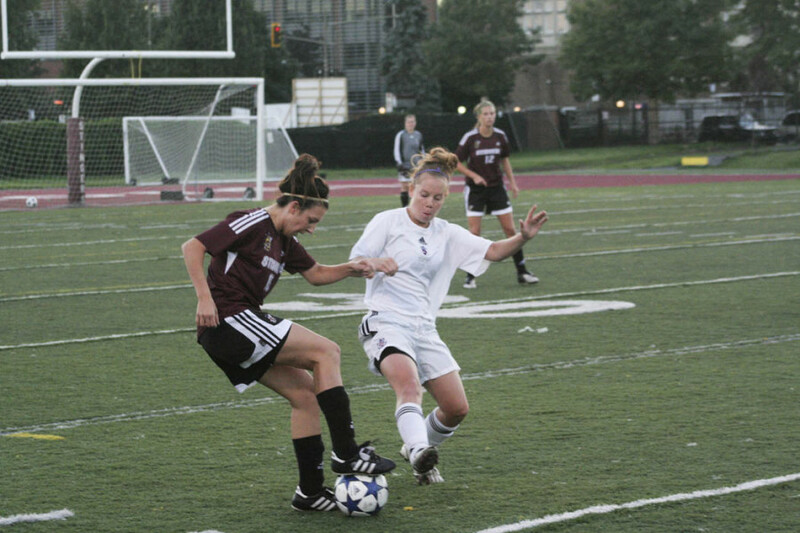 Second-year midfielder Hannah Lise gave Concordia the lead as she received a through ball on the corner of the penalty box and fired a low shot with the inside of her right foot past an onrushing Bucholtz. The Stingers almost doubled their lead just before halftime, as Sullivan delivered an inswinging corner kick that grazed the top of Concordia defender Catherine Lalonde’s head and went out for a goal kick. After a half dominated by the Stingers, Bishop’s slowly started threatening for a tying goal in the second. The Gaiters’ first actual shot on net came off of Chelsey Laurin’s boot, but posed no problem for Concordia goalkeeper Andrea Davidson. had trouble finding an open teammate in front of her in the 77th minute and decided to slide the ball into the middle of her third. Unfortunately, there were a few Gaiters charging down that side, and quickly enough, midfielder Taylor Wade played a through ball into Burnett’s path. The Gaiters’ forward finished the move off by powering a shot through Davidson’s legs. 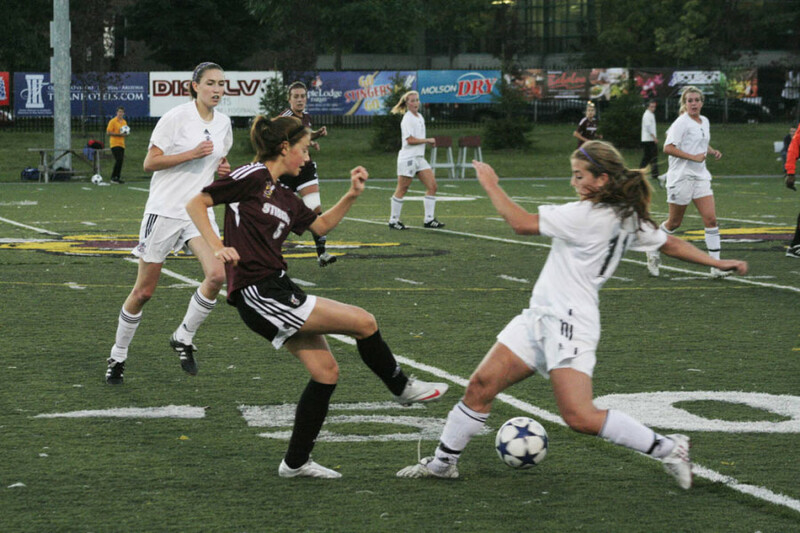 While there was some rough play during the game, the only caution issued was to Stingers midfielder Elizabeth Allard. Concordia concluded the weekend with a 4-0 loss to Sherbrooke on Sunday and will visit the Université de Montréal Carabins on Sept.17. This article originally appeared in The Link Volume 31, Issue 05, published September 14, 2010.